Responding to a revolution in online behaviour, Google has released the latest convergence of social, local, and mobile content: Google+ Local. This new product represents the merger of Google’s social network, Google+, and the vast index of local listings living on Google Places. As of May 30th, Google+ Local pages now appear in search engine results pages, Maps, and Mobile content. There is also a new tab dedicated to Local in the Google+ social network. Google+ Local is the result of Google’s desire to serve not only as a utility for users to find information, but a platform on which businesses and individuals can interact. What Does it Mean for Hoteliers? Superficially, Google has given its local content quite a makeover. Large prominent pictures at the head of the Plus page, along with tabs for Posts, About, Photos, and Videos are more visually engaging and resemble a Facebook or Foursquare profile. The overall experience of the new profile is more interactive and eye-catching than the single page Places listing. Though Google+Local offers a more social feel, the core content remains very similar to its Places predecessor. Basic location and contact information can be found in the About tab along with a description and category selection. Photos and videos can be uploaded into their respective tabs by both users and the business. The fundamental changes include the addition of dynamic content and the increased ability for businesses to interact with users. 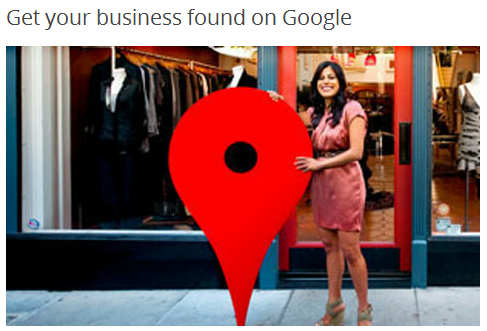 With Google Places, users experienced static content. All of the information was found on one page, and it was displayed almost identically no matter who was viewing it. Places had the ability to filter results based on the IP address or mobile signal of a user, but Google+ has built upon this by tailoring results to the individual user. Google+ users can filter local results to be more relevant based on reviews, recommendations, and +1s from friends and family. Though the feature has not been made available yet, Google has given a preview of future capabilities merchants will have with the Posts tab. The Posts tab will allow businesses to interact with users in a more versatile way than Places was able to offer. The tab mimics Facebook’s wall and serves a very similar purpose. Businesses can post new developments and users can respond in a dialogue. Users can also message a business directly through Google+. This personalized and engaging content is the driving force behind Google’s pursuit of uniting social and local experiences. Key improvements have also been made to the way reviews are aggregated and displayed. Google Places previously removed reviews aggregated by OTAs, drastically reducing the number of reviews available to users. With Google+ Local, users have access to a more relevant bank of reviews from Zagat Reviews, reviews left on the old Places listing, and personalized Google+ reviews. They have also adopted Zagat’s more-detailed 30 point review scale in place of the old 5 Star system. Some aspects of this new interface are still waiting to be rolled out, most notably a verification system for Google+ Local pages. 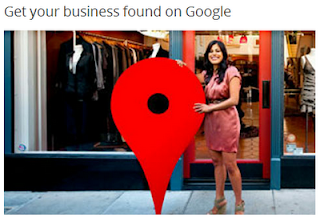 Business owners should still manage their listing that appears on Google Search, Maps, Mobile and now Google+ through their Google Places for Business account until they are able to manage their business’ presence across Google through a single local Google+ page in the near future. Basic business information will be automatically pulled into the new interface from existing Place pages, including business name, address, phone number, website URL, description, categories, Google Map, and photos. If your hotel has already created a Google+ page, they will have a page for posting, hangouts and other interactions as well as this Local page that was automatically created. In the future these two pages will most likely be linked and managed from the same spot, but for now they need to be managed independently.